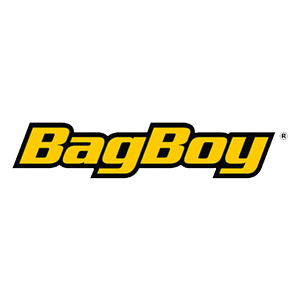 BagBoy Revolver FX Cart Bags: The new and revolutionary Revolver FX Cart from BagBoy, these stylish new bags offer an innovative multi-material rotating top design with Clip-Lok organisation that holds clubs securely in place. Revolver FX CartBags feature a 14-way top with full-length individual club segregation, seven zippered accessory pockets have been incorporated into the design including a fleece lined valuables with key holder and two full-length apparel pockets and an IGOTCHA ball retriever sleeve etc… a pass-through cart strap channel allows bag security without restricting pocket access. Revolver FX CartBags come with an adjustable shoulder strap and rubber traction feet offer bag stability when free-standing, a rubberised tee holder comes with complimentary tees and a handy pen and divot tool holder have been included. This is an ergonomically designed bag that offers a refreshing new look from traditionally styled bags, they weigh 9.7lbs and come with a full-size matching rainhood.